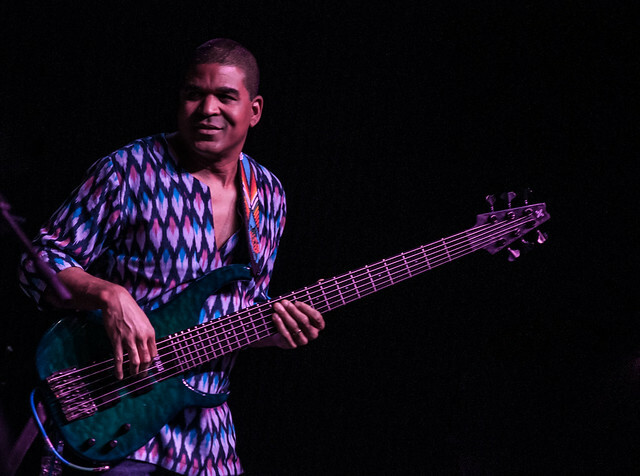 Oteil Burbridge brings his star-studded cast of musicians to Charlotte Reviewed by Nathan Leslie on November 5, 2017 . 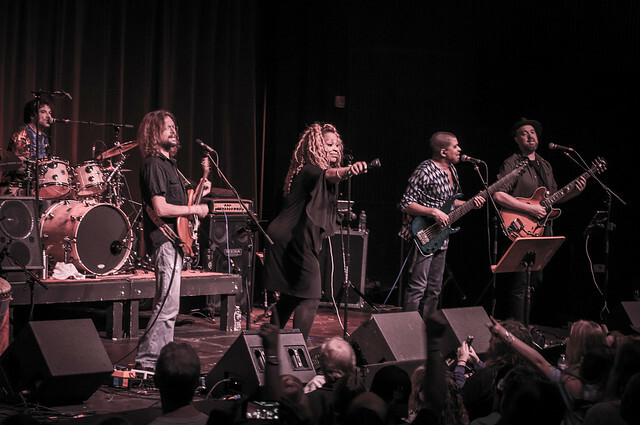 Oteil Burbridge brings his star-studded cast of musicians to Charlotte on their short Fall Tour. The Grammy award-winning musician, if you didn’t know already, has been on tour since the early 90’s and one of the most sought after bassists. Oteil is most known for his work with the Allman Brothers Band and with the recently formed Dead & Company. 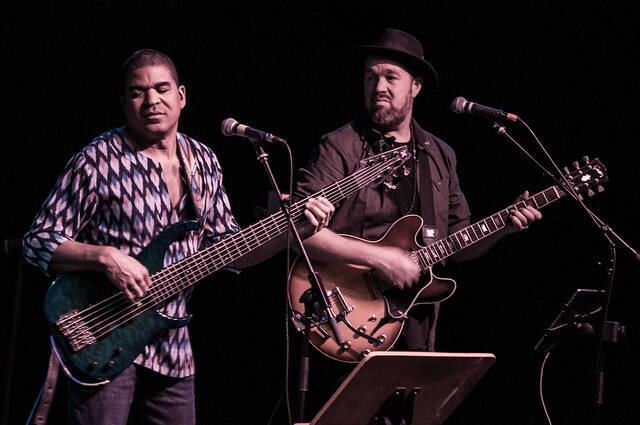 With many side projects under his belt, the newly formed Oteil & Friends take the stage at the Neighborhood Theatre in Charlotte, NC. 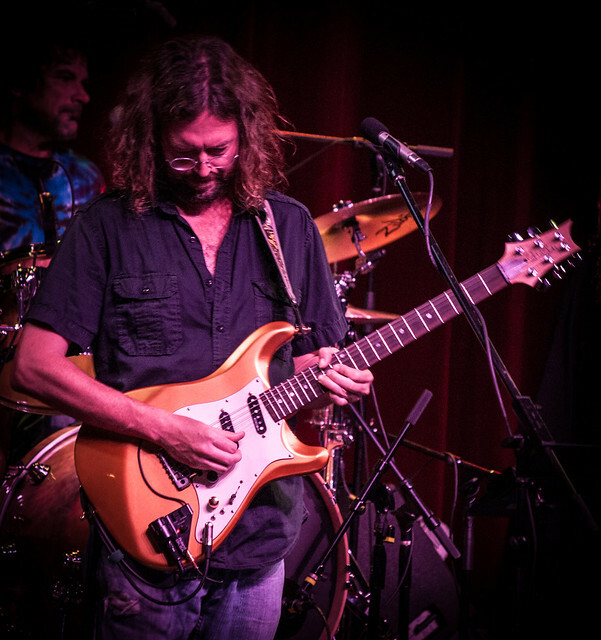 The short Fall Tour kicked off on Halloween shortly after the release of Water In The Desert, the newest solo album by Oteil. The lineup for the Charlotte show includes Eric Krasno and John Kadlecik on guitar, Jay Lane on drums, Melvin Seals on keys, Weedie Braimah on percussion and Alfreda Gerald on vocals along with Oteil on bass and vocals. Kicking off the night, the septet opened with Jerry Garcia Band classic, “That’s What Love Will Make You Do”. Longtime Jerry Garcia Band keyboardist Melvin Seals took over lead vocals on the jammed out version. As to be expected with a band full of musicians with backgrounds covering Grateful Dead and Garcia tunes, multiple Grateful Dead and Garcia songs would pop up throughout the two set show. Continuing throughout the first set, the Dead cover “Bertha” featured Kadlecik on vocals. Gerald got her first time to shine during the soulful rendition of Bob Dylan’s “Gotta Serve Somebody”. Gerald’s powerful and soulful voice would be on full display here, resonating throughout the theater. The accompanying jam would feature Krasno and Seals solos before lending way to Gerald to finish the tune. Oteil would get his turn on the mic, getting the crowd funky for The Meter’s “Just Kissed My Baby”, which featured solos from Kadlecik and Seals. There was absolutely no shortage of solos between the musicians, especially Seals who brought the jams to new heights both sets. Oteil quipped, “Feels like I’ve got the A-team up here” before slowing things down with “If I had The World To Give”, the Grateful Dead rendition provided a nice catch your breath moment for the crowd. Wrapping up the first set, Gerald would get the crowd right back in it with the Creedence Clearwater Revival hit “Proud Mary”. Starting it off slow, Gerald had the crowd taking over vocals before long while the band kicked it up to full speed. Belting out the remainder of the song, you would think that Gerald did not even need a mic to fill the room. After a short intermission, Oteil & Friends would take the stage for their second set of the evening. 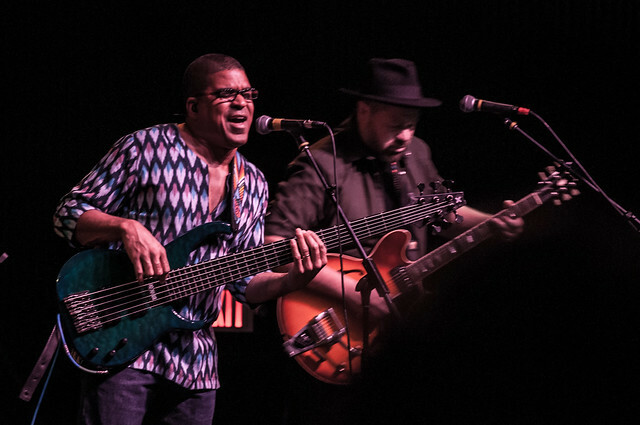 Starting out with the title track of Oteil’s newest album, “Water In The Desert”, the soulful tunes slow build up quickly became a highlight of the show. Featuring Gerald’s powerful and haunting voice reaching an incredible peak before slowing back down to conclude the song with a huge roar from the packed crowd. “Call It A Stormy Monday”, the rendition from the legendary blues guitarist T-Bone Walker featured more excellent work between Gerald, Krasno, and Seals. 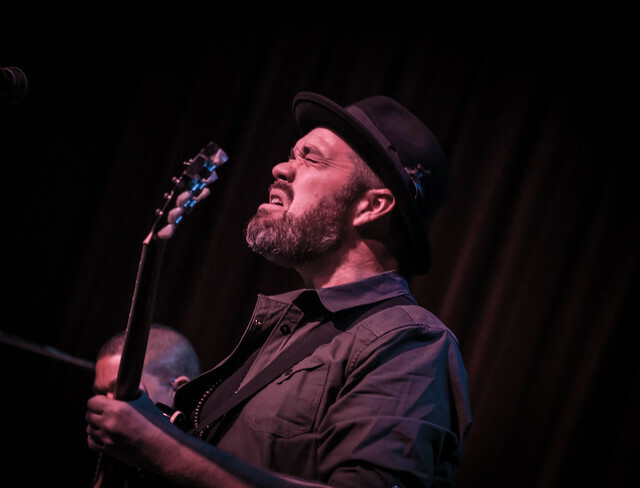 The second set would continue with more cover classics, such as the Motown hit “How Sweet It Is (To Be Loved by You), Eyes of the World by the Grateful Dead, and finishing off the set Krasno’s own “Unconditional Love”. Much like the first set, each individual musician would showcase their talents through the cover choices. After a quick band introduction Oteil & Friends left the stage, but of course nobody would be heading for the exits without an encore! 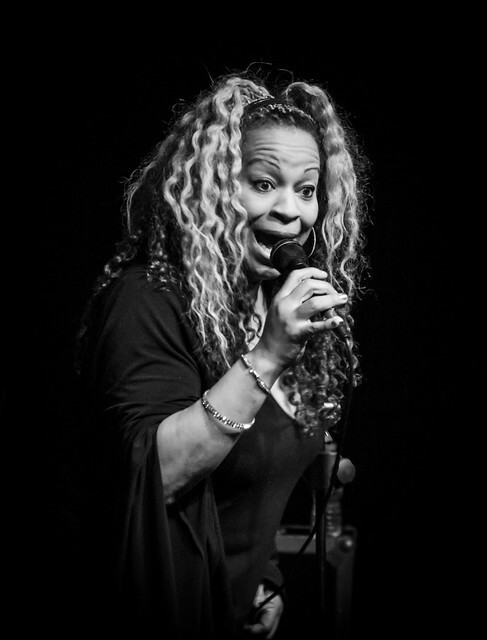 The band returned while Gerald asked the crowd if they are familiar with Janis Joplin before jumping right into her hit “Piece of My Heart”. If there is anyone who has the pipes to cover a Joplin tune, Gerald is the one for it. You would have never guessed this band had only performed a few shows before. Top-notch musicians all across the stage made this a very enjoyable evening. 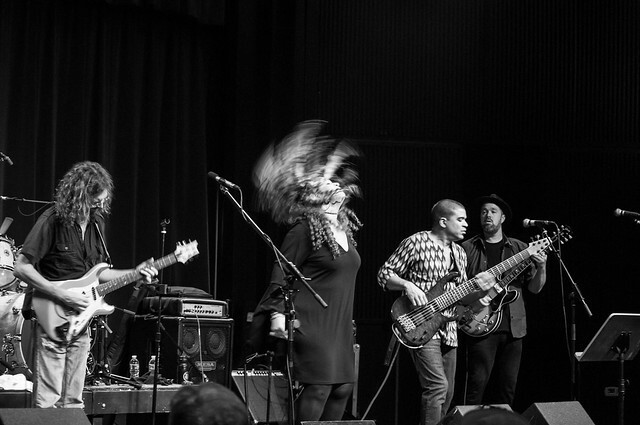 You could tell the band, especially Oteil, were having the times of their lives onstage. I would expect this project to surface again in the near future and if so, do NOT miss it! Nathan is avid concert goer who hails from Concord, NC. A graduate of UNC Charlotte, Nathan is an Audio/Visual Engineer in the Charlotte area. Nathan, who is a lifelong collector of concert recordings began recording shows himself in 2010. What began as a hobby has turned into a career for Nathan. With a passion for live music and reliving the concert experience, Nathan has taken on concert photography as well. You can find Nathan’s work at www.nslmedia.net.